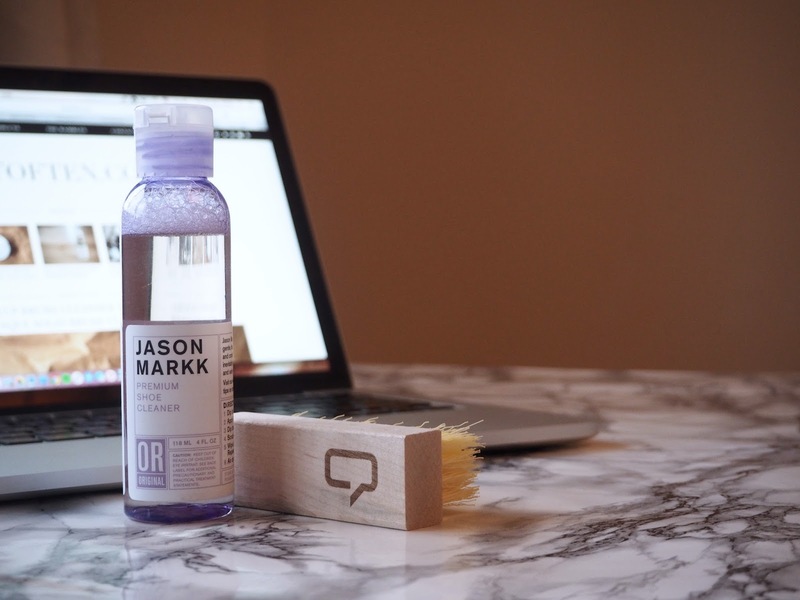 I discovered Jason Markk’s Premium Shoe Cleanser in the weekly Time Out magazine – ironically reading it whilst being stepped on – and I knew I had to get it. Basically it’s a kit specifically designed to get rid off the dirt on your beloved trainers. I hear ya say, “Can’t you just use soap?” Well you probably could, but as the Shoe Cleanser is specifically designed for the job, I like to think it’s less likely to damage the shoe, and as a bonus: it works as a dream. The cleanser is really watery, so it may be a bit confusing as to how to use it. I pour a bit on the brush, wet the brush and then brush it on the shoe till it lathers. Rinse and repeat. It can get a bit messy so make sure you’re above a sink or just have some towels around you. real life snaps of food, randomness, life and beauty.